Niacin/ Vitamin B3, is a water-soluble vitamin and is part of the B Complex. It is required for the metabolism of carbohydrates and protein into energy. 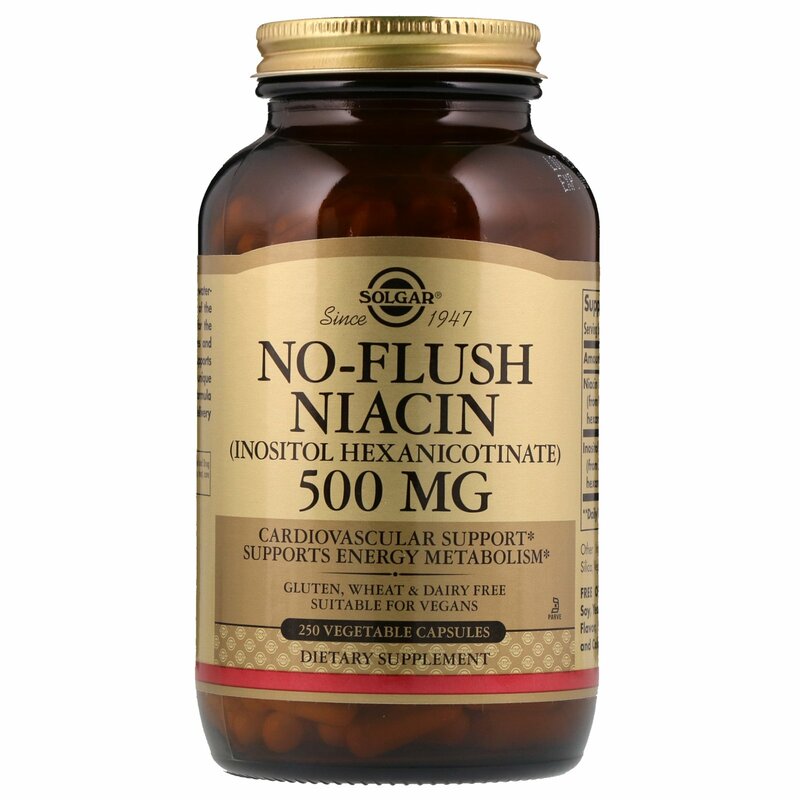 Niacin supports cardiovascular health. The unique, inositol-bound niacin in this formula allows for a gentle, no-flush delivery of niacin to the body. 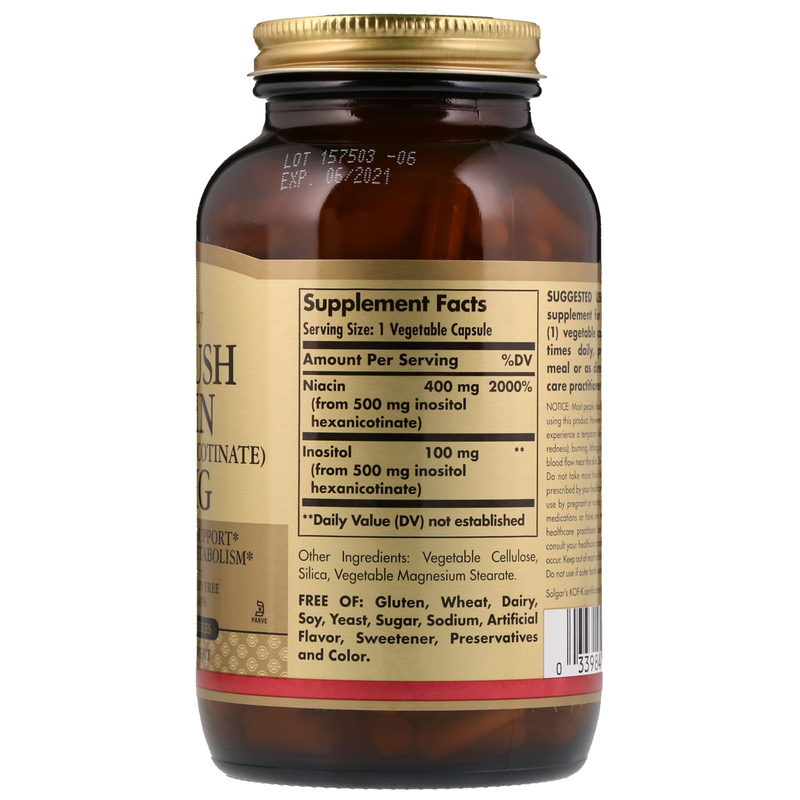 As a dietary supplement for adults, take one (1) vegetable capsule one to two times daily, preferably with a meal or as directed by a healthcare practitioner. Most people should not experience flushing when using this product. However a few sensitive individuals may experience a temporary skin flushing (hot feeling and skin redness), burning, itching, or rash caused by an increase in blood flow near the skin. Do not take on an empty stomach. Do not take more than the recommended dose unless prescribed by your healthcare practitioner. Not intended for use by pregnant or nursing women. If you are taking any medications or have any medical condition, consult your healthcare practitioner before use. Discontinue use and consult your healthcare practitioner if any adverse reactions occur. Keep out of reach of children. Store at room temperature. Do not use if outer bottle seal is missing or damaged.